For example, I’ve always felt confident in my ability to decorate my home in a style that works for my tastes, and seems to be acceptable to our family. And as if validation mattered, I receive compliments along the way from visitors who have stated that our home is pretty. I don’t say that in any kind of boastful way, but rather to make the point that I never second guessed every little decision where decor was concerned. I still love many of the same things I’ve always loved, English country style with a bit of French thrown in, more Ralph Lauren than Matthew Patrick Smyth, and because of the size of our home, it’s more rustic than elegant. It’s evolved as we’ve aged and I’ve worked hard to keep the tchotchkes edited down. I have always been open to change and like to rotate certain accessories/accents for the season. All that said, I’ve begun to wonder…is my house beginning to look dated? Does this happen to any of you? I’ve always been more riveted by a beautiful tabletop than the table itself. Maybe that’s why I worry about getting carried away with the very treasures I love. A great vignette, with the right accessories, can make me weak in the knees. My files are filled with rooms that are especially beautiful due to great styling details. Is this the very thing that has me worried? Maybe. I do embrace the minimalists approach which stresses living with what you love, and I do [live with what I love]. Big difference between “dated” and CLASSIC, which never goes out of style. You have nothing to worry about, and the fact that you are worrying guarantees that you’ll keep it fresh! I nodded in agreement through this entire post… In the last two months I have acquired a couple of new/large old pieces and when we brought the last one in the house, I looked around and thought to myself – I LOVE ALL OF THIS. I feel I am speaking directly through you in this post ! My sentiments lately for certain, as far as confidence in choices in every aspect of my life, decor, fashion, collections etc….how I solve his uncertainty when it happens is, I think about the icons in these areas..Ralph Lauren, Charlotte Moss, Bunny Williams, Bunny Mellon, yes, just to mention a few….those who have stuck to their vision for decades…oblivious to trends…who have longevity in their designs…I ask myself, what would they do? I particularly struggle with this when I’m working for a new bride and designing her wedding flowers…I try to focus on my aesthetic and design values….I loved reading this post this morning, reassuring and heartfelt point of view, thank you! I couldn’t have said it better. With 2 young daughters in law I am losing a little of my confidence also. It is a fine line between curated and junky. I am going to keep doing what I always have. It makes me happy. Thank you for stopping by and joining in the conversation. Karen, The answer is yes.. I do worry that I am looking like I used to see my folks back in the day. If one is willing and able to keep up with all of the social media, it’s easier to stay in the loop. This new house has come at the perfect time as I am of a certain age ;\ and we are starting (almost) from scratch. I’ve gotten rid of most of my furniture and as I slowly rebuilt I plan to go a lot more contemporary. 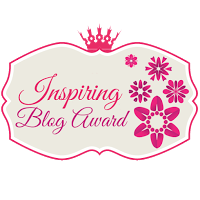 I will also say that younger bloggers have been an inspiration in many cases! You have a great eye and you should trust it! Harder to say than practice – but you should not worry about what other people think about your look! If it looks fuddy duddy to them, then that is their impression and they can have it! But it seems like you have a nagging impression that it is beginning to look dated – then go ahead and put away some of the objects, bring in new, but don’t throw out old favorites! Trust me that your trash (overstated) will be someone’s treasure! I think I can give you this advise because I am older, and I have seen cycles and change in design and home decorating. Styles come in and go out and come back in! One thing that is true, if you buy the best of the best and great design, it will never go out of style. i.e Don’t get rid of a treasure to go buy a cheap imitation at Home Goods! Because you have great style, I am sure that if you are going with your own feelings and not what some home design magazine tells you is “in”, then you will continue to have an enviable and remarkable home! Remember, furniture and fabric manufacturers want you to keep buying new stuff, and to do that they have to convince you that you need to continually change. Not so! Oh my, you can see your question has struck a cord with me – sorry to be so long winded!!! I agree – I love rooms that are true to the person and show some care went into them. Classic rooms rarely look dated. I think editing is the key, as you said. Beautifully expressed post, Karen. This post is breathtaking! I love every single vignette. Going back to pin. What an interesting post and certainly food for thought. I’m a great believer in being surrounded only by things that we love. It’s surprising how a few new accessories can refresh a room. Having said that, after living in our current home for almost fifteen years, we have made a few more dramatic changes including new wallpaper and paint colours. Karen…yes, I have had the same thoughts and anxieties about my home. Maybe it is part of being an older gal. We have been collecting and saving things for years, and have quite a stash by now! Ha! Your home is lovely…so your worries can be swept away! Homes of quality are always in style. My heart flutters when I tour old Savannah or Charleston houses…and those homes and period decor ate OLD! My home will not stand up to comparison with mid century modern…as those are clean and clutter free abodes. But we do need friends who will pull us over to the side and caution us about being one thing short of a horder. Ha! Keep the faith…I love your posts! Karen, I have had those same thoughts for the last number of years. After much consideration I have come to the same conclusion as many of your readers. Classic never goes out of style! I think you have to surround yourself with what makes you happy and not care if it appeals to everyone else. A house says so much about who you are. Your house reflects a person who is very creative and has wonderful attention to detail. Don’t change what you do so well! I think that if you truly live with what you love, and from what I see of your home that is classic style, well that will never go out of fashion. What will always become outdated are fads (i.e. the latest accessory “must haves”) so as long as you avoid those, you’ll be all set, in my very humbe opinion of course. You have connected with many women. I know you have taken all my thoughts (concerns) and put them into words ! Great blog, loved reading as well as the visuals. This post was wonderful. My answer to your question..yes like every day. I am wondering if you are getting to be my age?…probably not that old!! My daughter and daughter in law keep me in line with fashion (well sort of) but I do have a little touch of that hoarder/collector mentality. I try to remind myself constantly…edit, edit, edit!!! The problem is I don’t always listen!! Karen when I see a home I really love it is usually because the owner has collected special finds over the years that are meaningful! I always say I don’t need another things and then something will catch my eye….sometimes something else has to go, and that’s okay too! Having just celebrated a birthday myself, I’ve had many of the same thoughts as you described. First: I’m getting older and there’s not much I can do about it. Second: I’m questioning my ability to fully realize my decorating style. I’ve pondered this second thought for quite awhile recently and have finally come to the conclusion that I’ve done a pretty good job but my home will always be a work in progress. In the meantime, it reflects what I love and am most comfortable with. As you quoted in one of your earlier posts . . . “Your home is a scrapbook of your life.” My scrapbook will always be changing but it will reflect what’s important to me and that makes me immensely content. I jut found your blog this morning, and oh my, I may be here the rest of the day!!! Do you do lunch???? I don’t think dated and what you show are even in the same league. Yours is so warm and classic……just lovely!! Thanks so much. I’m happy you stopped by. Hope you’ll visit again.